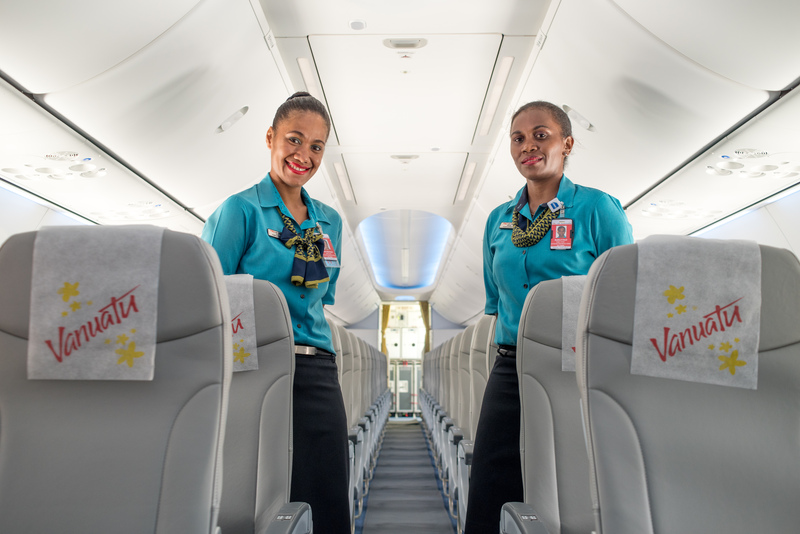 Workers gathered to inspect the newest addition to Air Vanuatu's fleet - a Boeing 737-800, which arrived in Port Vila yesterday. 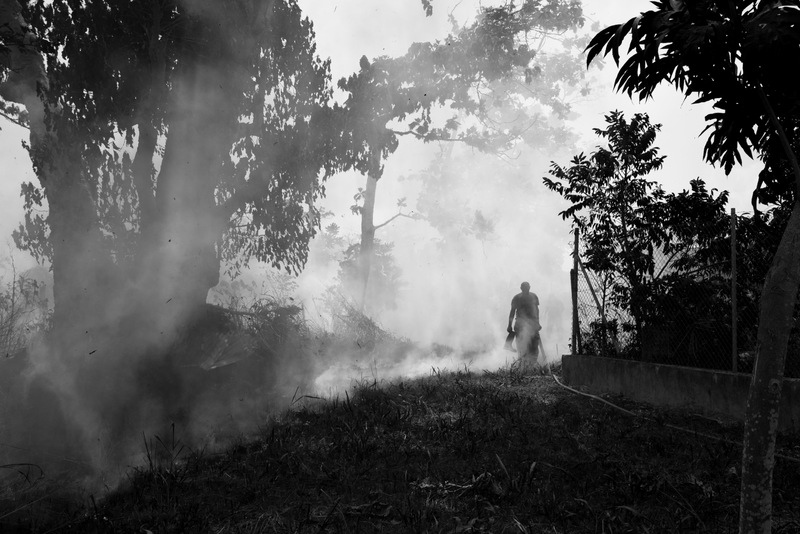 Dry conditions led to an urban brush fire that consumed nearly 2 hectares of undeveloped land near the Agence Universitaire de la Francophonie. 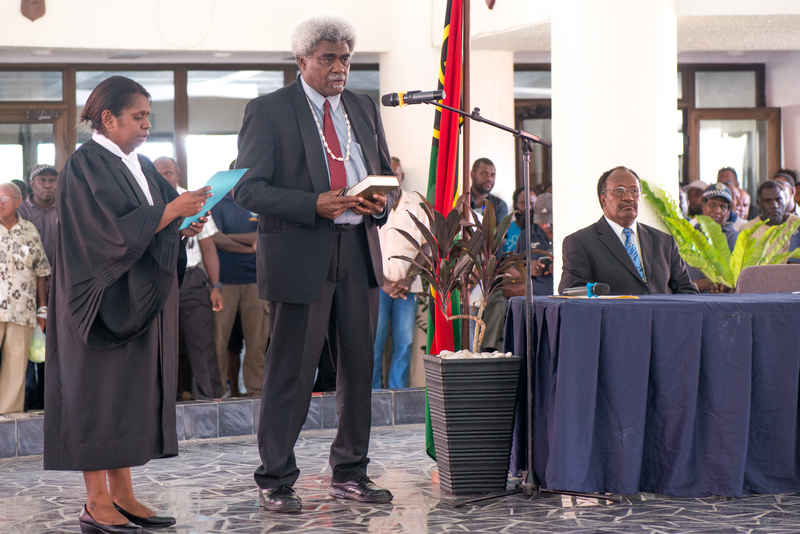 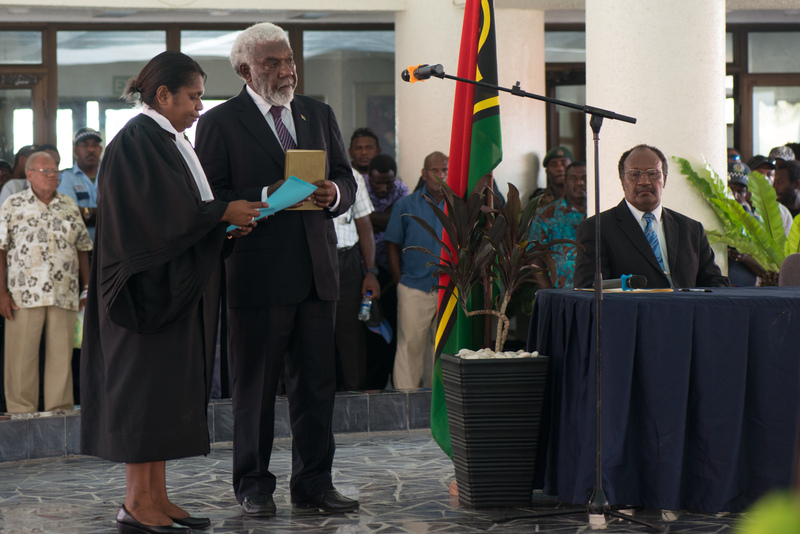 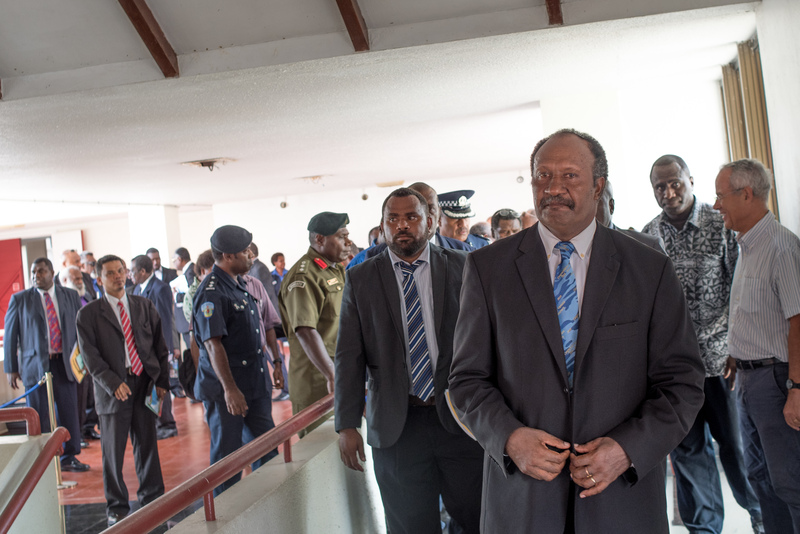 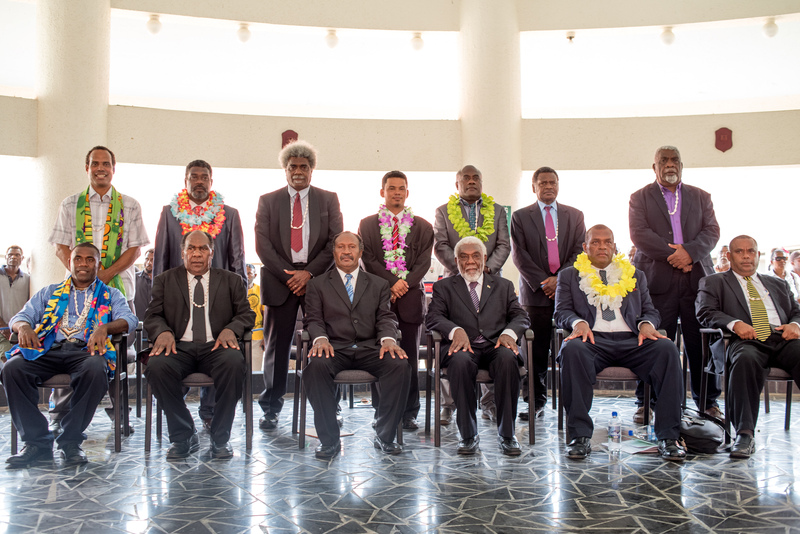 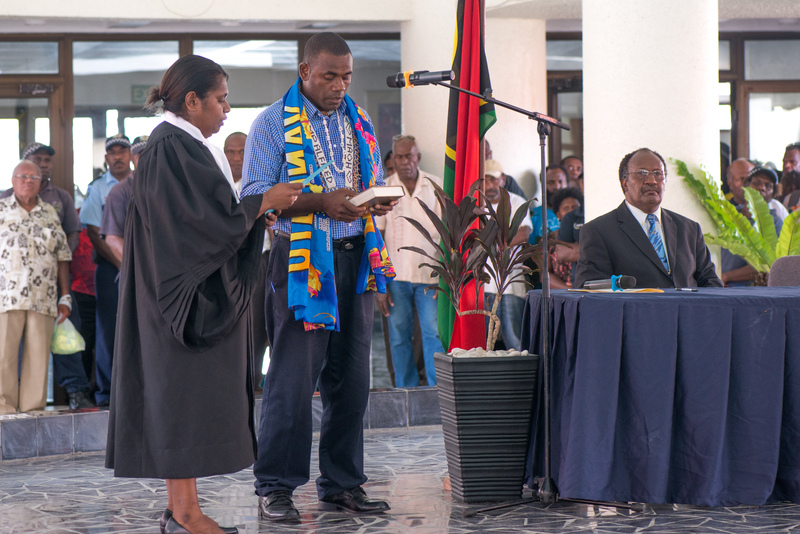 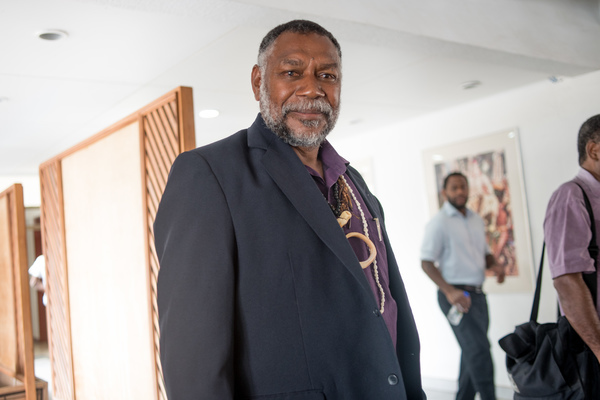 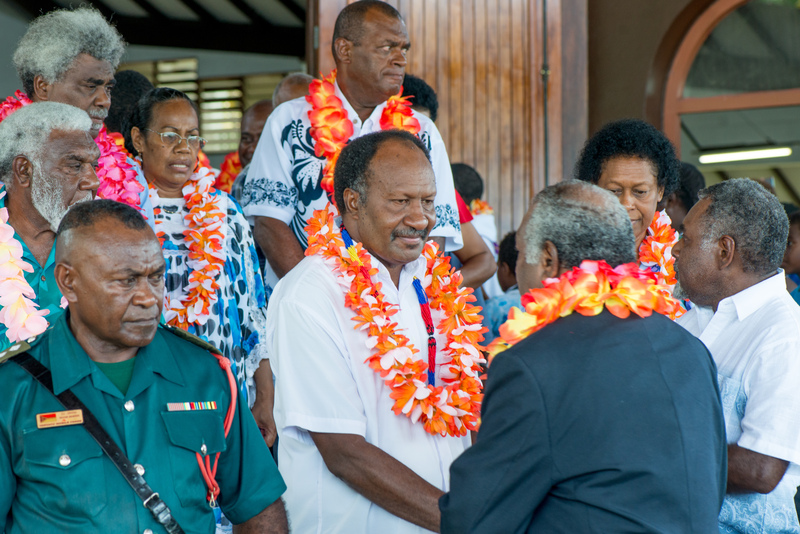 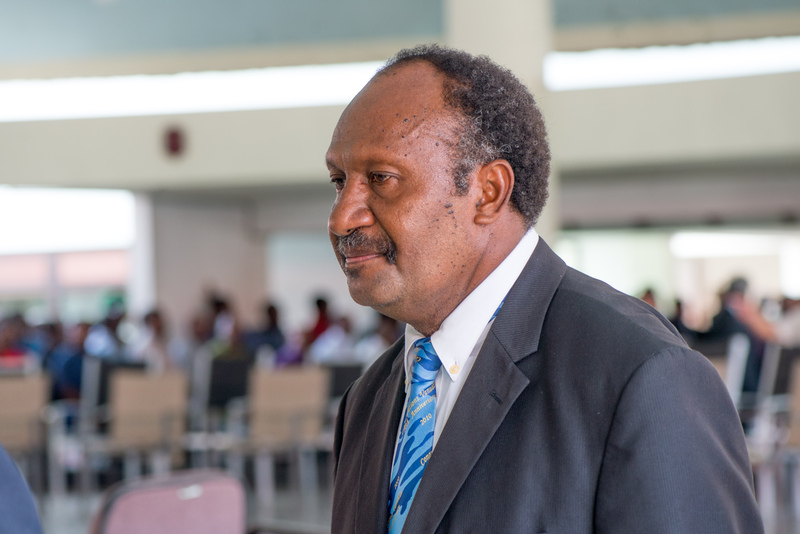 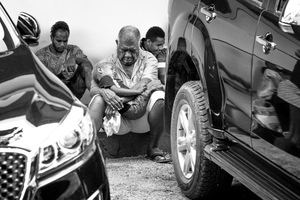 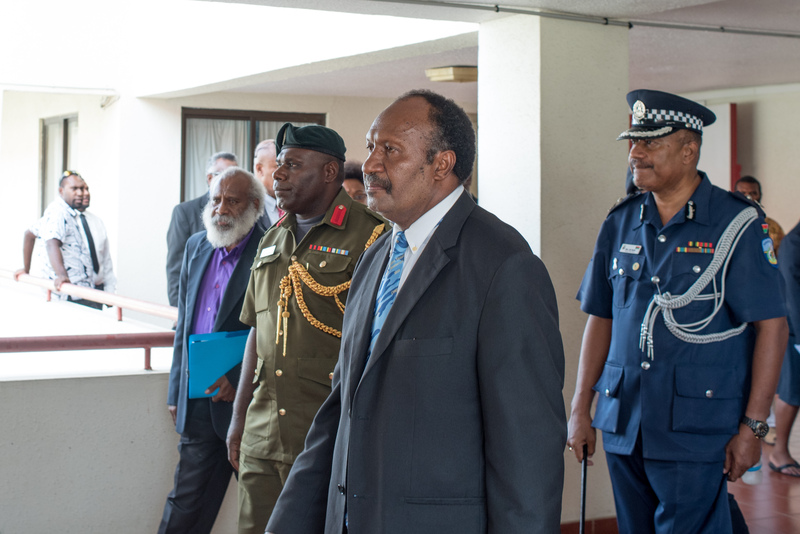 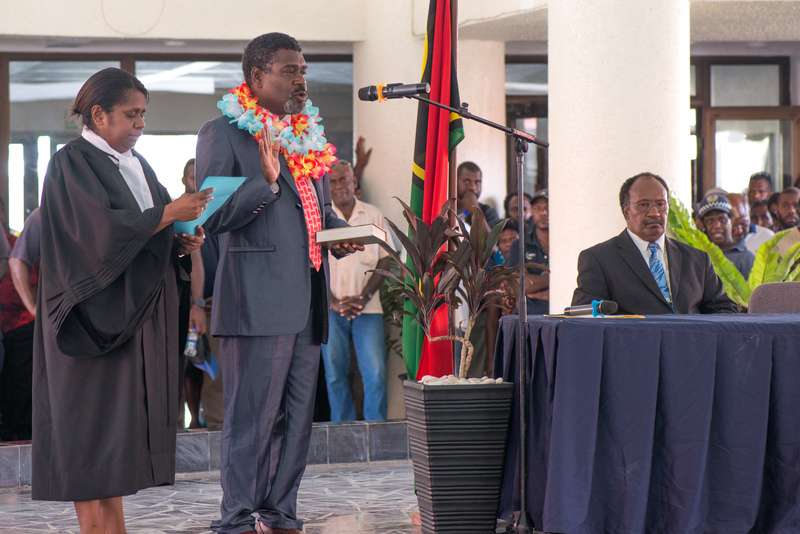 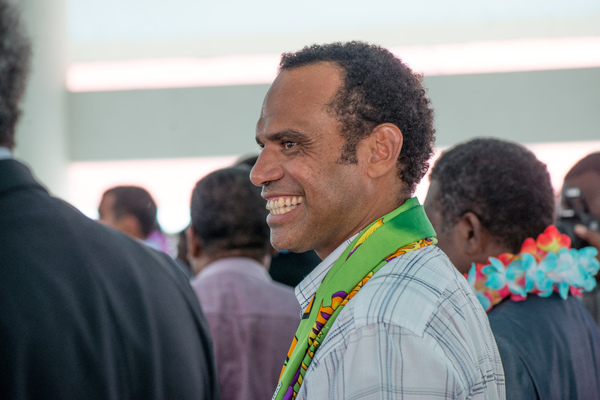 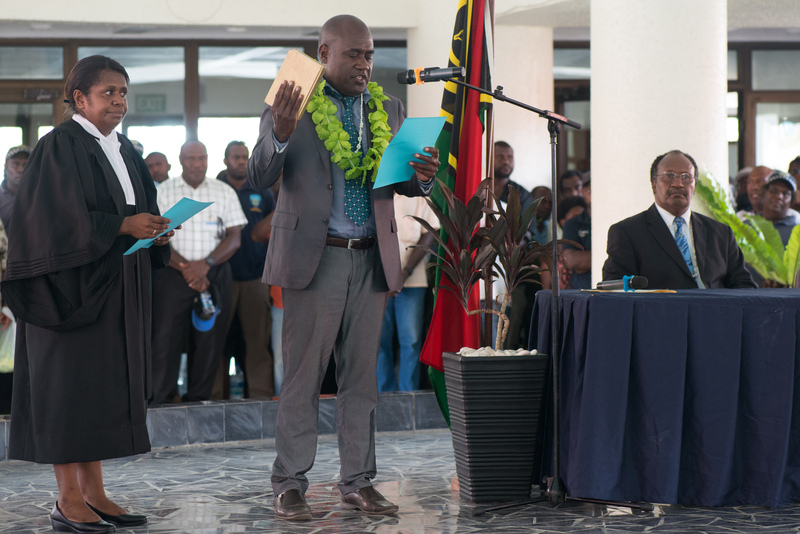 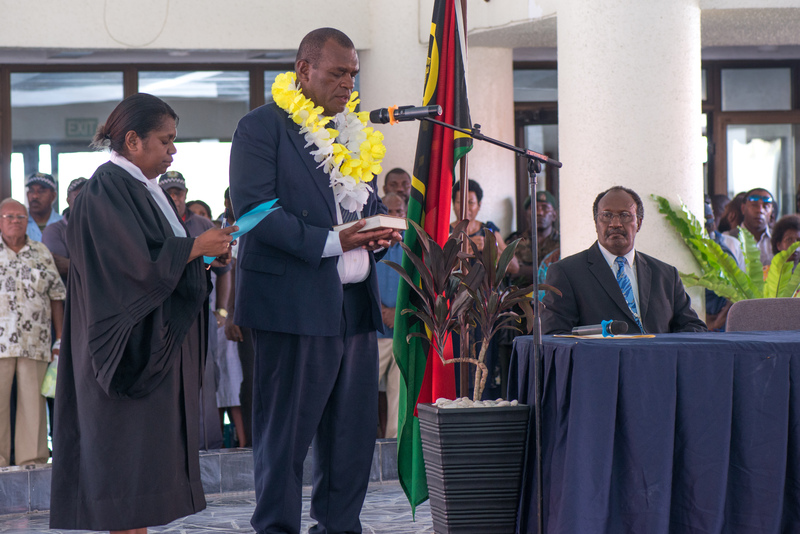 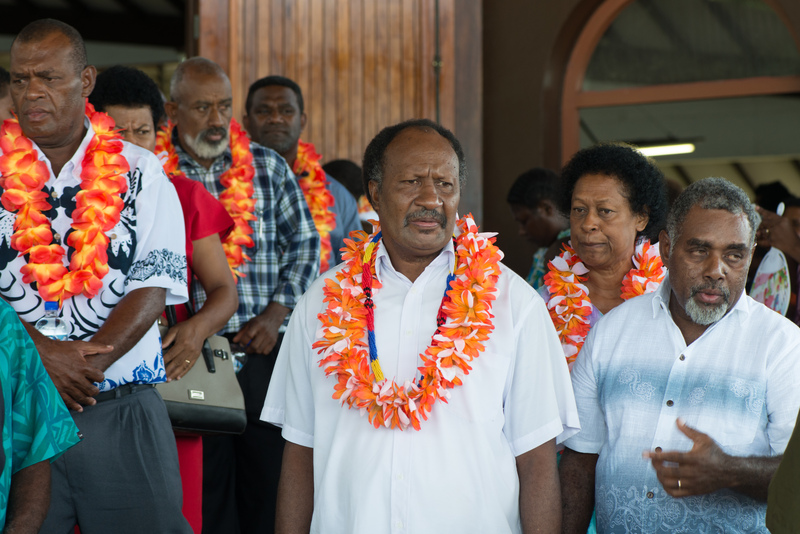 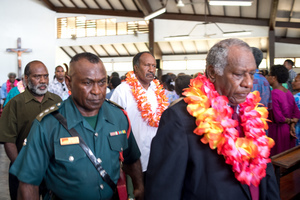 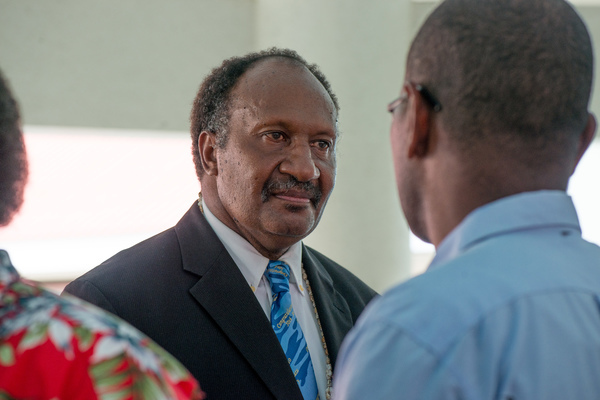 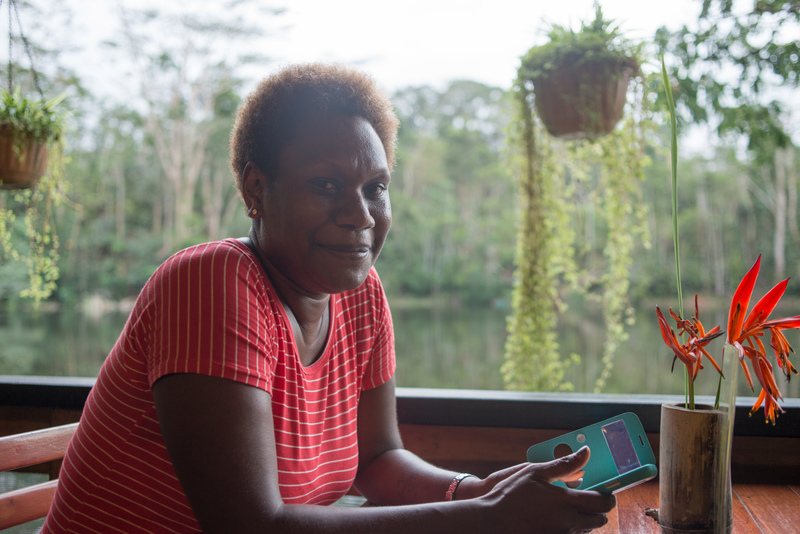 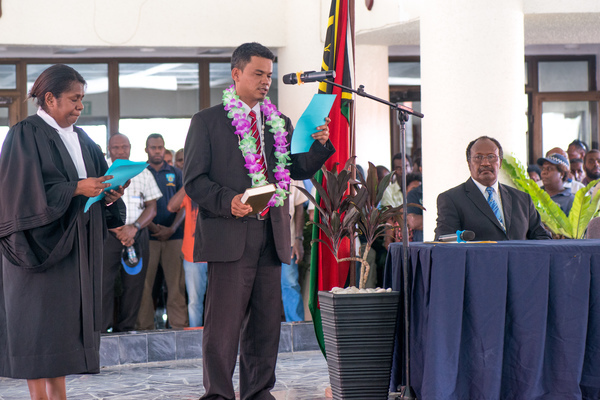 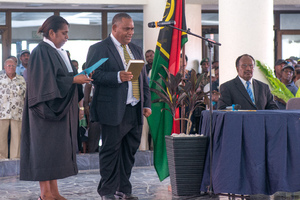 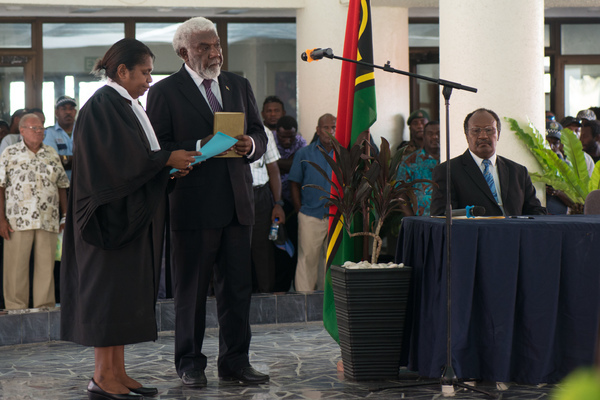 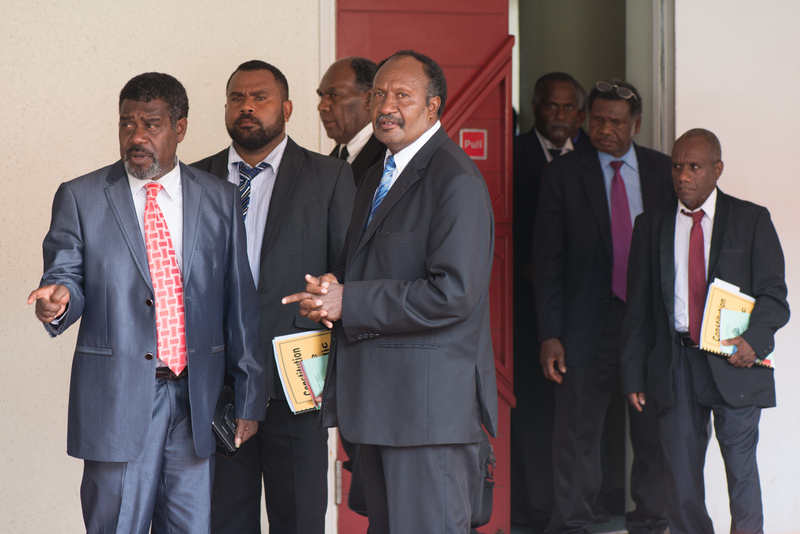 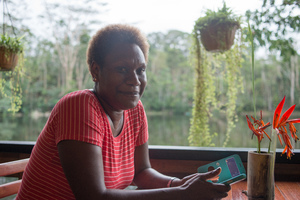 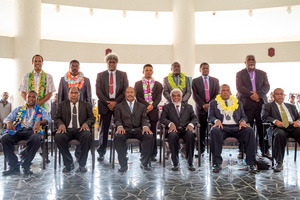 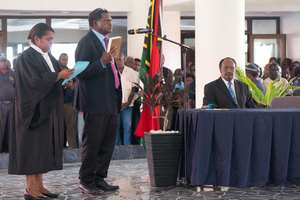 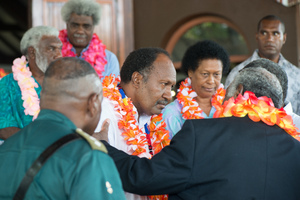 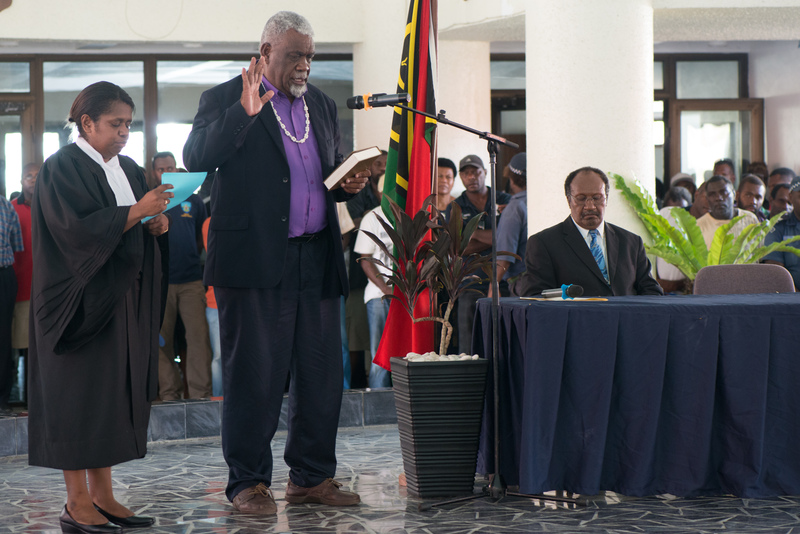 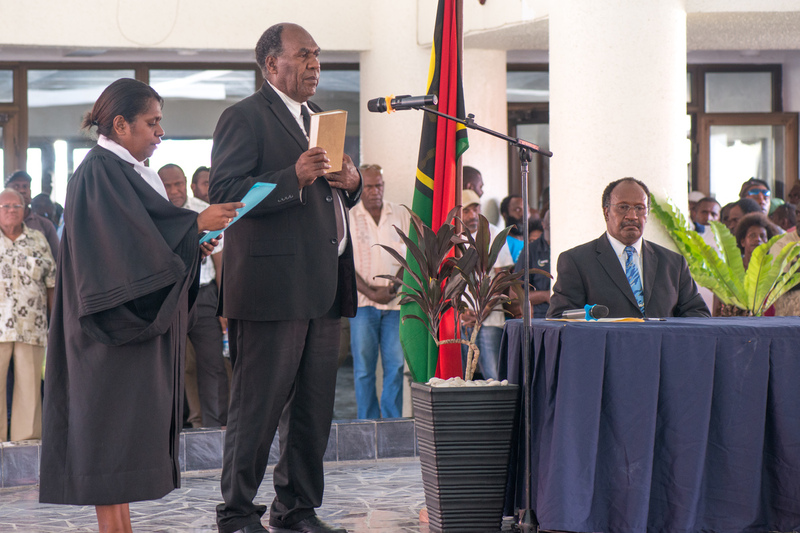 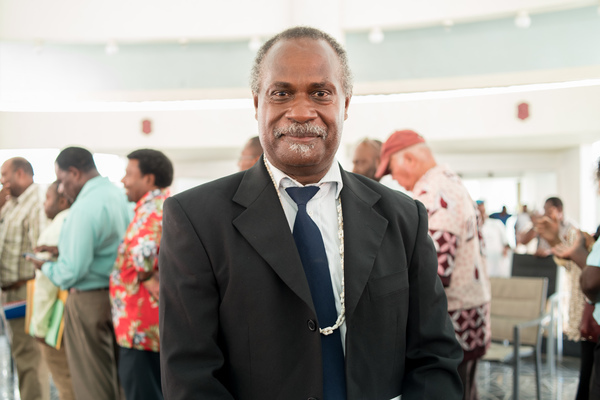 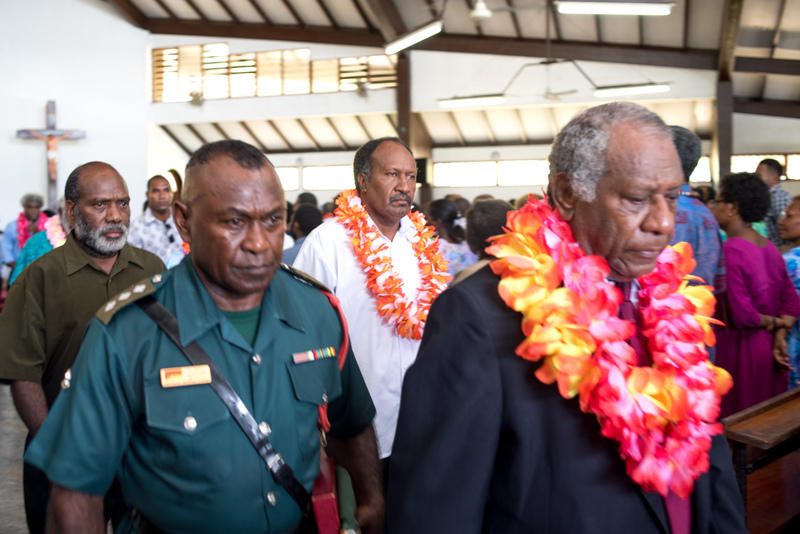 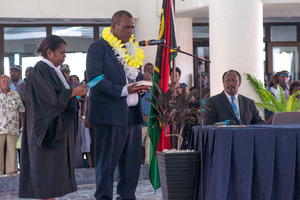 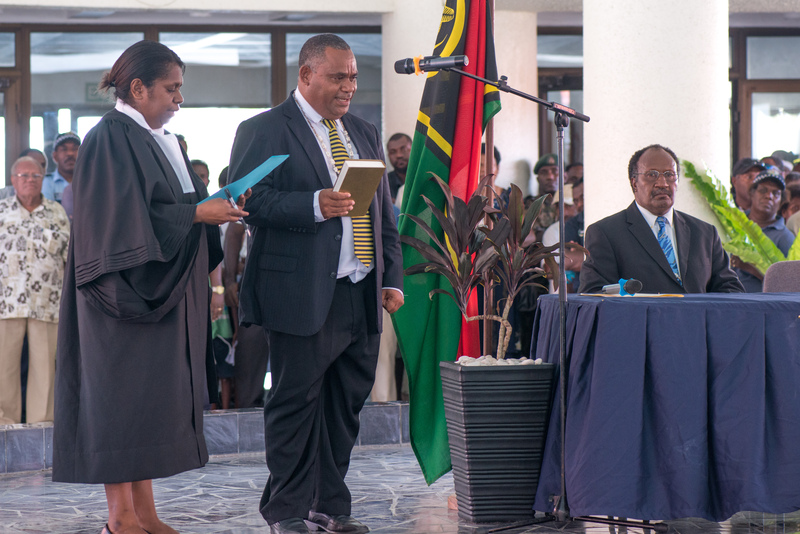 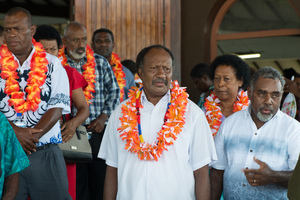 Charlot Salwai Tabimasmas is the new Prime Minister of Vanuatu. 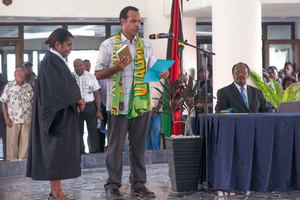 The only candidate nominated at the opening of the 11th Parliament, he was elected with 44 out of 52 votes. 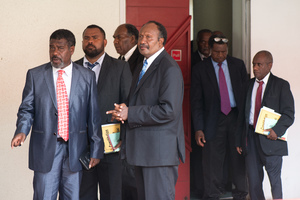 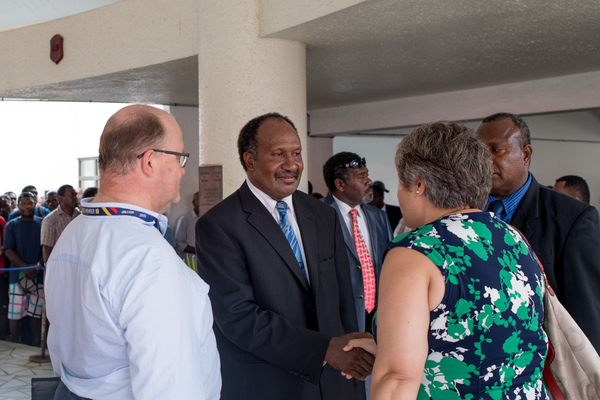 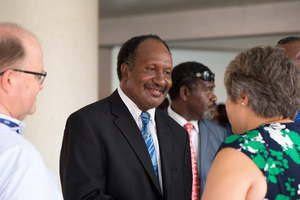 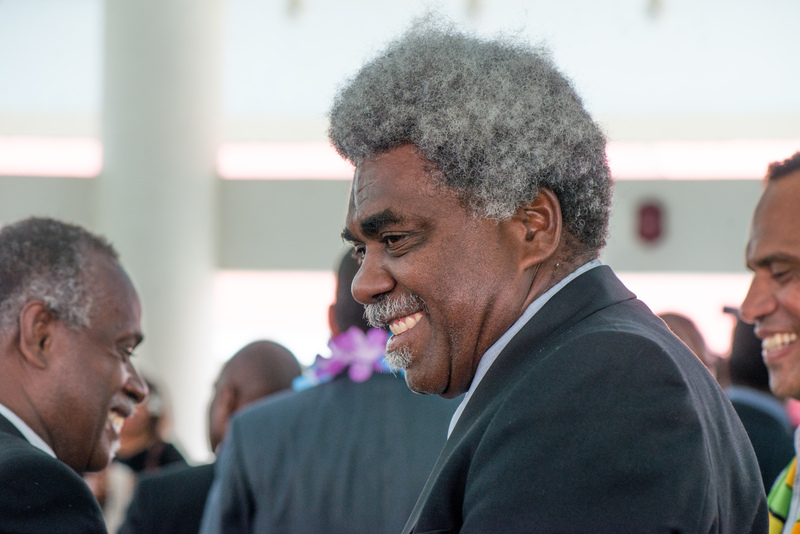 Newly elected Prime Minister Charlot Salwai chats with President Baldwin Lonsdale following a thanksgiving service at the cathedral. 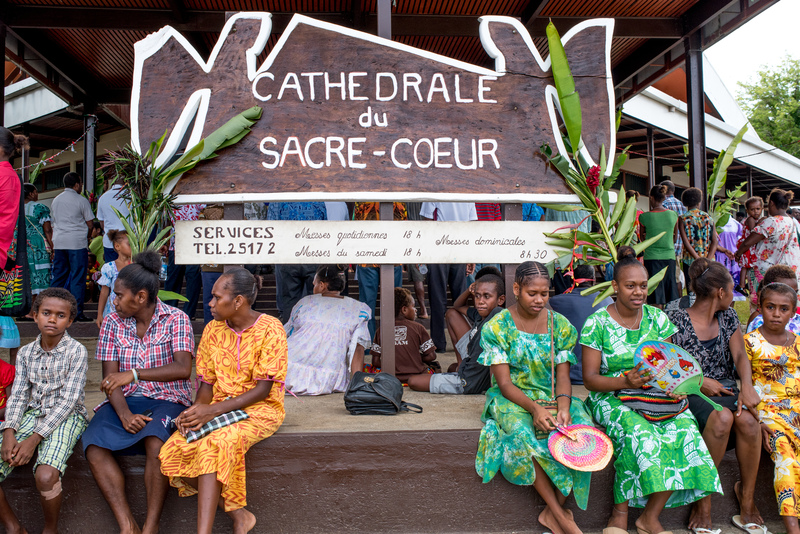 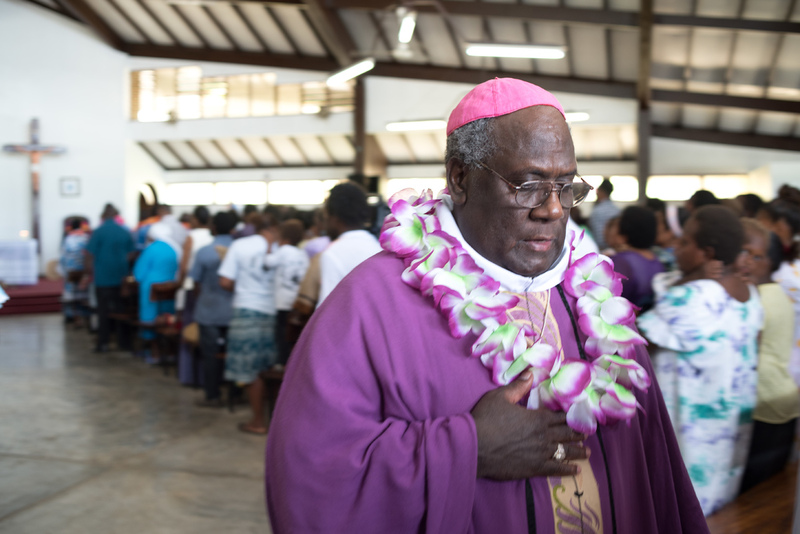 Over 1000 people packed the Sacre Coeur cathedral to celebrate a thanksgiving service, marking the election of Prime Minister Charlot Salwai. 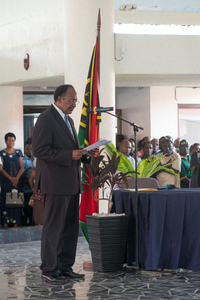 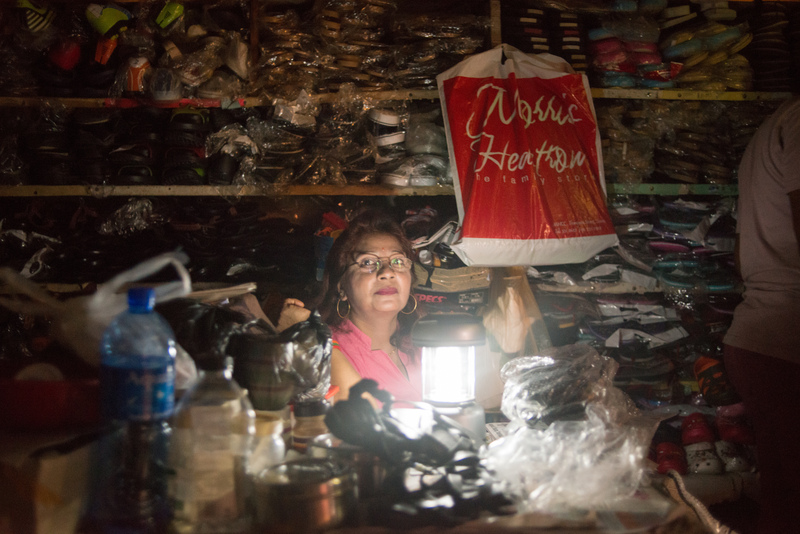 The service was attended by his cabinet and countless other luminaries. 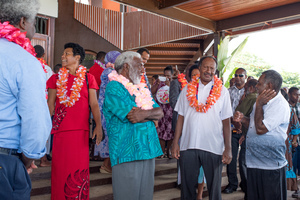 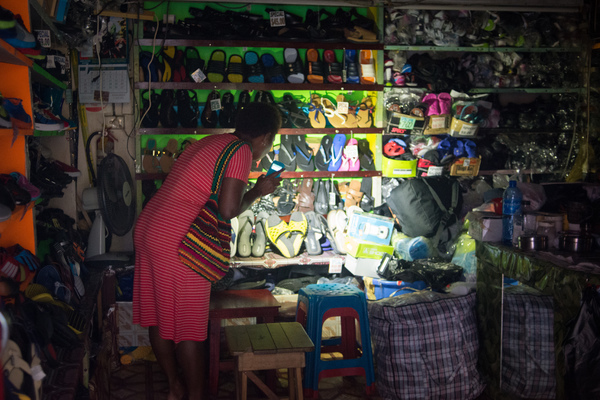 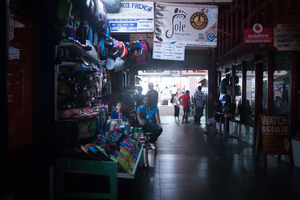 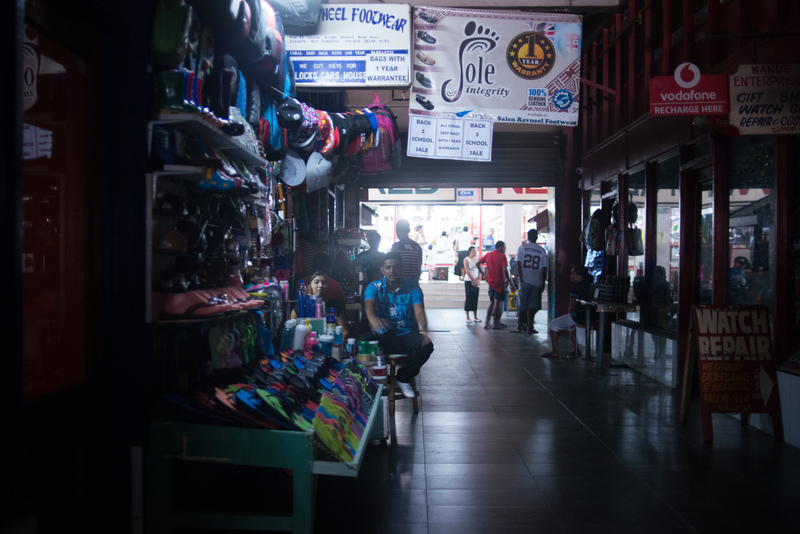 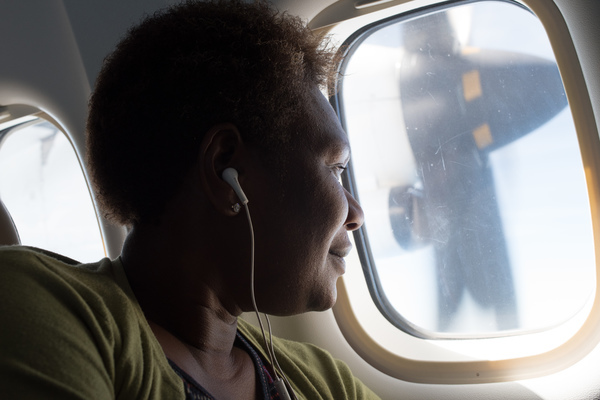 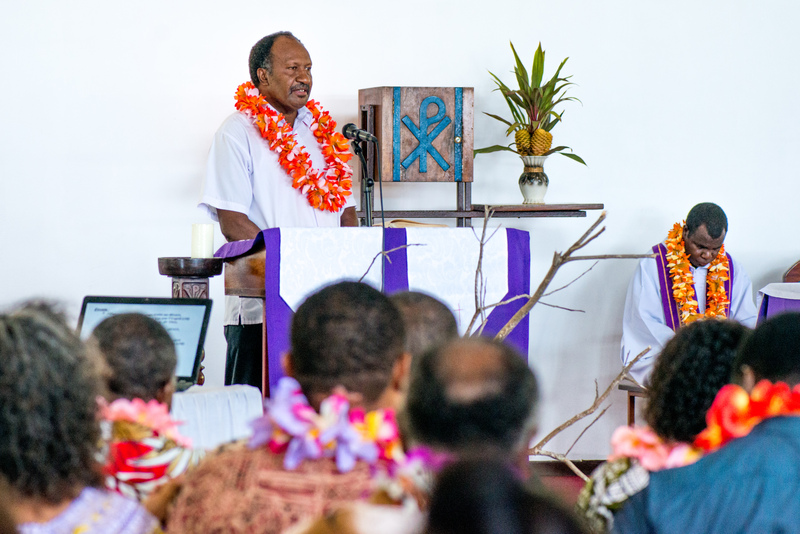 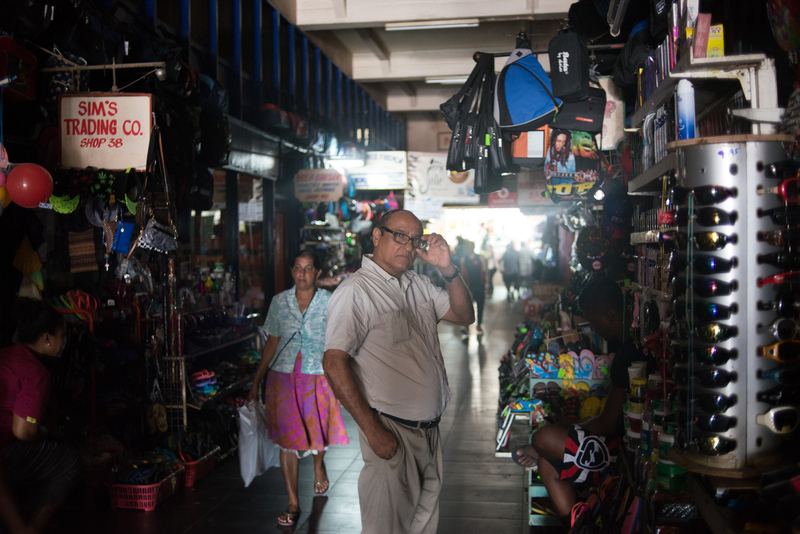 A few shots from our visit to Suva.